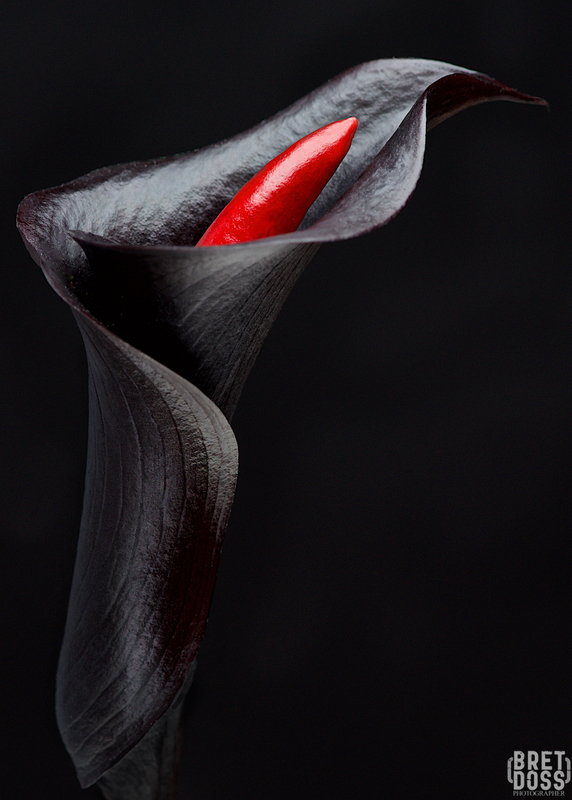 As promised in the Calla Lily #1 post, here is the next a series of calla lily images. For this, I had a concept in mind beyond a ‘straightforward’ image of a lily. 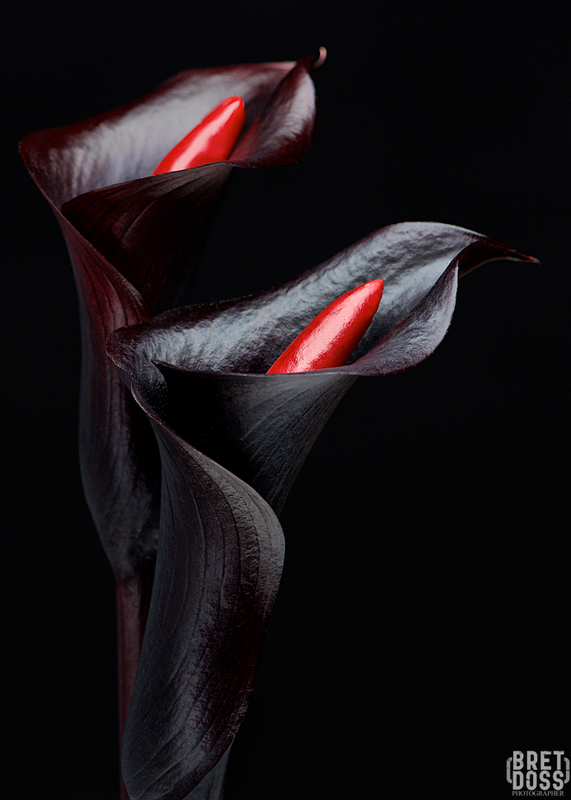 I was surprised to find black calla lilies — I didn’t know they even existed. Photographing black items on black backgrounds is a fun (sometimes) challenge, and the concept-imagining got under way. It took a few days for an idea to gel, but it finally did and I couldn’t wait to make the images. I envisioned a restaurant called The Black Calla, and iconic images to represent it properly. So I imagined it to be high-end, exclusive, a single location, owned and operated by a superb and established chef, serving unique cuisine to discerning clientele. The image needed to convey mood, mystery, unique/surprising vision. I placed Thai chili peppers in the callas to add a pop of color/surprise and bring an element of food and spice to the concept. Most of my still life & product shoots are fun, but I have to say that this session was among the most pleasurable and rewarding, flowing smoothly from start to finish. In it’s own way, this was a relaxing and meditative image-making day.